Only those delegates who hold an existing SMSTS or subsequent refresher course and provided evidence to the training provider before attending the course are eligible to attend the refresher course. 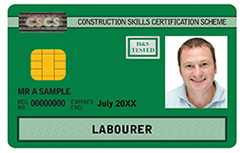 Failure to attend the refresher course prior to the expiry of an existing certificate will require delegates to re-enter the scheme by completing the full SMSTS course if they wish to remain in the scheme. If a delegate cannot provide a copy of their certificate, it may be possible to receive confirmation your Cskills Awards customer co-ordinator on 0344 994 4020. Your customer co-ordinator will require delegate information such as registration number, date of birth or National Insurance Number in order to locate the appropriate record. If an individual cannot be located on the system and no evidence of their certificate can be found, they will have to attend the full SMSTS course. Failure to gain evidence of achievement of an original SMSTS course will result in the course being processed as attendance only and a certificate will not be issued.